The necessity for Website Maintenance companies arises in order to augment existing applications, provide updates, for Search Engine optimization, and to add new content, fix bugs and also provide technical support for the site. We at Maya Techno Soft Technologies offer these services; as we are aware that the maintenance work on a site is as important as making a new site. Imagine the effort that people take to search for some information through search engines. And from thousands of search results they decide to click on your site, but on opening the site one finds non functional links and also outdated information. In this case the user is not even going to take a split of a second to switch to a competitor's site. This thereby is a huge loss for your business. It is therefore imperative that all bugs are attended to immediately without any delays. Moreover, there are many services oriented websites like the ones for online ticket bookings, hotel reservations, and credit card payments etc that should ideally not stop functioning at any point of time. This can have serious impact on business. Therefore the need for Website Maintenance Services doubles in these sectors. However, that in any case does not cut down on the need of website maintenance in other sectors as well. we provides website maintenance services, web maintenance servicesThese services are very important as a well maintained website shows how much you are seriously into business and what the importance that you give to it is. A website that has broken links, incorrect information; incomplete content and also outdated information can be a real turn off to prospective clients. So for a business which wants to grow, it is essential to invest in a good maintenance company, and we are best known in this field for our proficient services! We provide low price Website Maintenance Services. The low price index is in no way a compromise with the quality of services offered by our company. 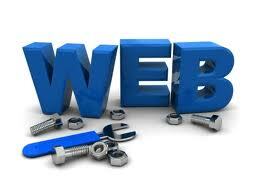 We not only fix the bugs rather we also work towards adding enhancements to an existing web site. These enhancements can be in terms of functionalities or in terms of feedback and suggestions that come from the customers. In case these suggestions add on to the site's value, our team is more than happy to incorporate these into your website in order to increase its credibility. Therefore the need to keep your website current, relevant and updated is met by Web Maintenance Services of our company.